"Favorite Nerve" is one of the outtakes included on the Deluxe version of One Foot In The Grave. 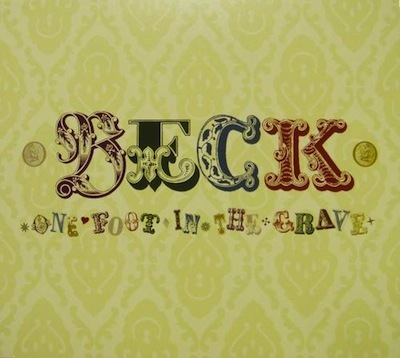 Many years ago, beck.com included some lyrics to a handful of the OFITG outtakes in their discography. One of these was listed as "Make It Up." Then when the One Foot Deluxe tracklist was first revealed, there was a song called "Favorite Nerve." I thought it might be "Make It Up," because the first verse of that song includes the line "you're my favorite person in the world / and I'm not just saying that / it takes a lot of nerve for you to say you hate me." Interestingly though, the released version of "Favorite Nerve" does not match the lyrics of "Make It Up." (And there's no mention of favorites or nerves!) However, both songs have the call and response-style chorus, and they're clearly related somehow. The "Make It Up" outtake does not circulate to know how they compare, or which came first, or what. My guess is that this is the earlier version because the lyrics are not nearly as vivid here as on "Make It Up." Beck repeats some lines here, which makes the song feel slightly like it is an unfinished song. That's just speculation though. Musically, "Favorite Nerve" is a slow OFITG-style grunge band track. Beck gets a great atmosphere out of a very minimal arrangement.